We're at the printer - woohoo! Over 30 craft stalls, food, mulled wine, music, choirs, children’s entertainment, and much more. A local celebrity will turn the lights on at to close the festival. A range of vintage wares – perhaps the perfect vintage present? Mid-century ceramics, 50s-70s fabrics, clothing, books, homeware, furniture, jewellery etc. Admission £1.50. Children free. Come and check out Wood Green’s new arts and crafts venue for workshops etc. and pick up some hand crafted gifts. Saturday 11am-5pm, Collage Artspace 4 in the Library Hub. Unique design, arts & groovy gifts in a mulled wine grotto. 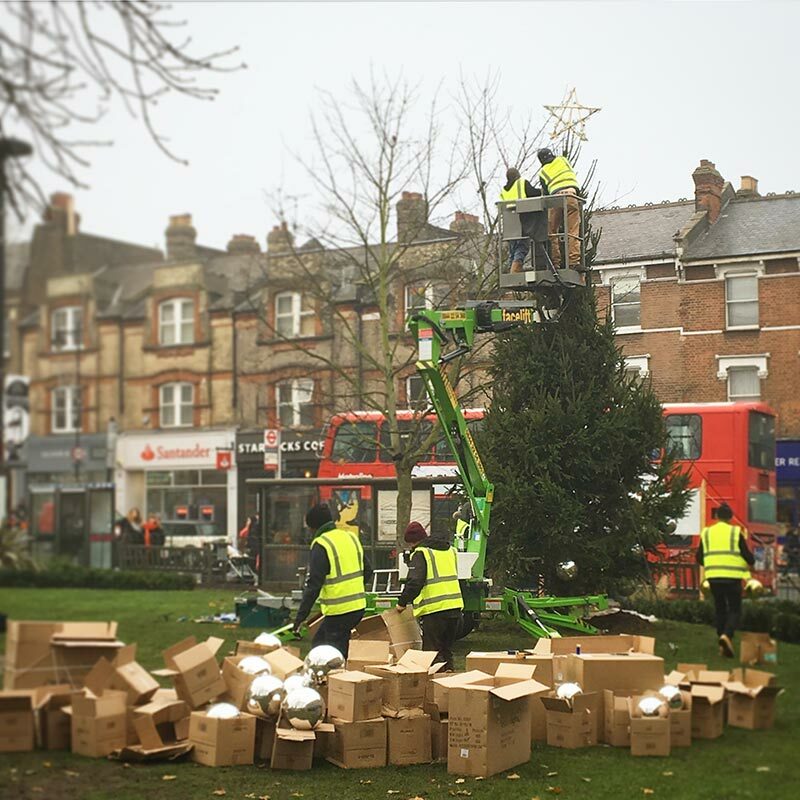 Muswell Hill’s St. James Square will see choirs, singers, local makers, and plenty of seasonal food and drink with the tree lighting ceremony at 4pm. 2pm to 5pm Saturday, St James Square, Muswell Hill. Help decorate the library Christmas tree, with storytelling, cakes, drinks etc. A festive fun filled charity concert in aid of The Malawi ‘All We Can’ Project and Terrence Higgins Trust. Tickets £5 in advance, £8 on the door. The festival will have 50 stalls, bars, live music, a Santa’s grotto, fun fair rides, a lantern parade and a light switching on ceremony. Misty Seven has made a small collection of their best-selling Junk Trunks in a range of fabulous new colours and prints including Leopard and snake prints, very limited numbers and not available online. You can also find a range of stunning wallets and purses; a collection of metallic leather fringe jackets available for pre order; and local designers including Jocasi leather hand bags; Louise Wade silver & gold jewellery; Katherine Bree semi precious stone jewellery; Jake Biggin art; and Rockstar Detox; Modern Holistic well being and essential oils. Enjoy the cool vibes at this personality infused farmer's market. This special event will include carol singers, mulled wine and cider, and 'the best mince pies you'll ever taste'. The largest local farmer's market - this week at Campsbourne School. Copyright © 2018 VILLAGE RAW, All rights reserved.